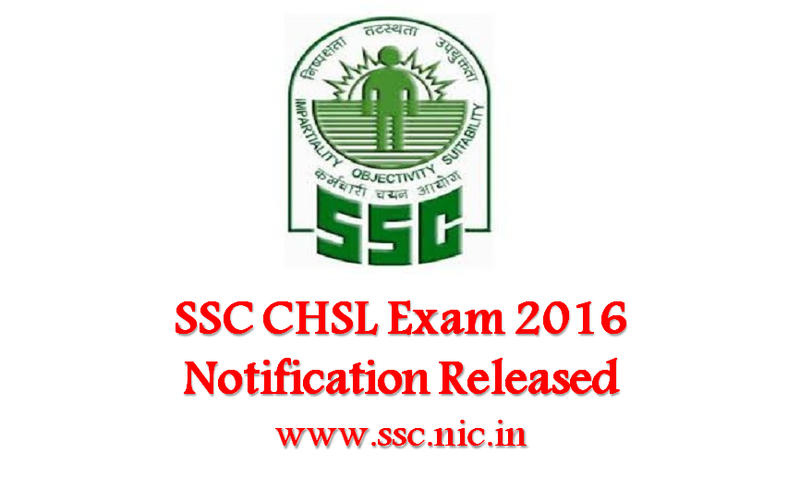 Staff Selection Commission has notified for SSC CHSL Exam 2016. The applications for Combined Higher Secondary Level i.e., SSC CHSL Exam 2016 are invited from interested and eligible candidates till 07 November 2016 to fill up 5134 posts of Assistant/ Sorting Assistant, Assistant/ Sorting Assistant, Data Entry Operator and Court Clerk. Every year lakhs of candidates appear in SSC CHSL Examination, this year also huge lot of candidates is expected in the examination. Hence, all the SSC aspirants who are willing and are eligible to apply for the SSC CHSL Exam 2016 can apply through the prescribed format along with required documents on or before 07 November 2016 at ssc.nic.in. Candidates interested to apply for SSC CHSL 2016, can find the complete information in a precise layout, here. Educational Qualification: Candidate must have minimum educational qualification of 12th Standard from a recognized board or university. SSC will follow strict selection procedure for selecting applicants. Candidates will be selected on the basis of their performance in written test, skill test and typing test. The SSC CHSL 2016 Exam will be conducted in three phases i.e., TIER I, TIER II and TIER III. TIER I exam will be Computer Based Objective Type of 200 marks and TIER II exam will consist of a Descriptive Paper of 100 marks. Further, TIER III Exam would continue to be the Skill Test/ Typing Test which would be of qualifying nature. Candidates are required to apply online. However before heading for online registration candidates must go through the instructions given in the notification properly. Candidates must be ready with all requisites before starting to apply. The last date of application is 07 November 2016.